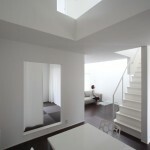 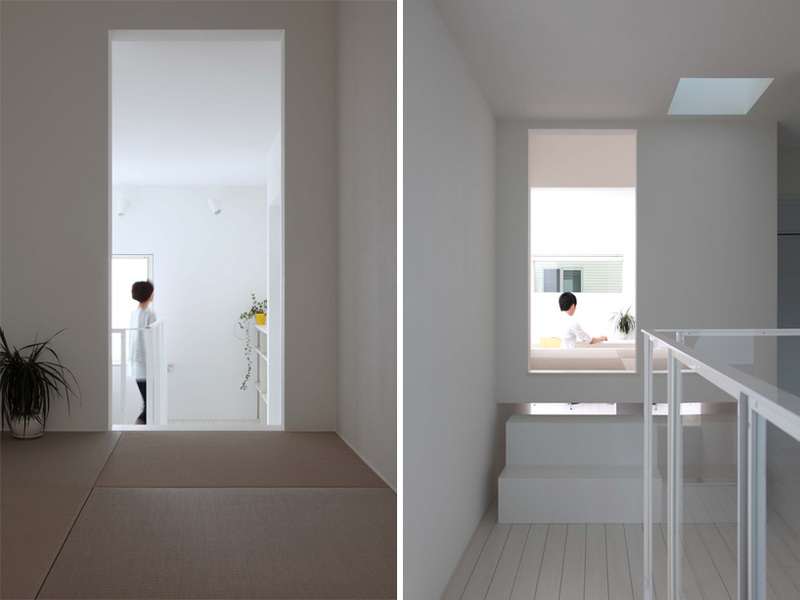 ALTS Design Office designed a small Omihachiman House dividing it into multiple small rooms. 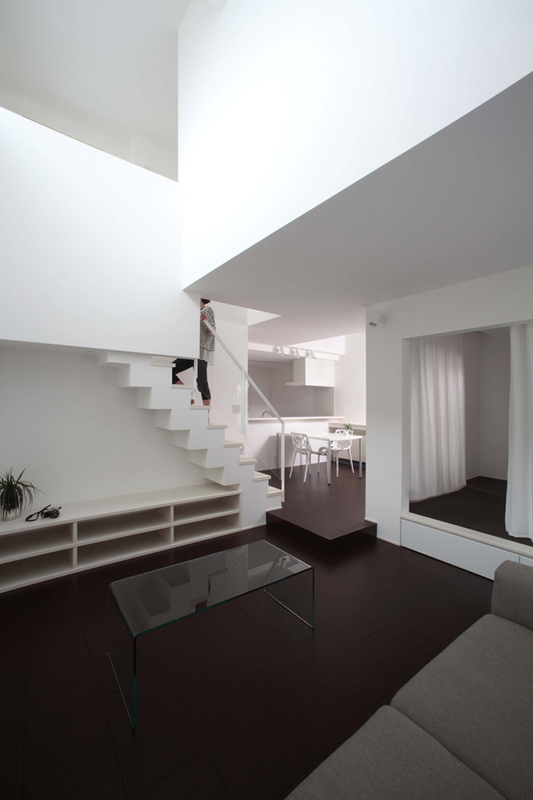 When we talk space management and especially division we think of enhancing the space making it airier and more open. 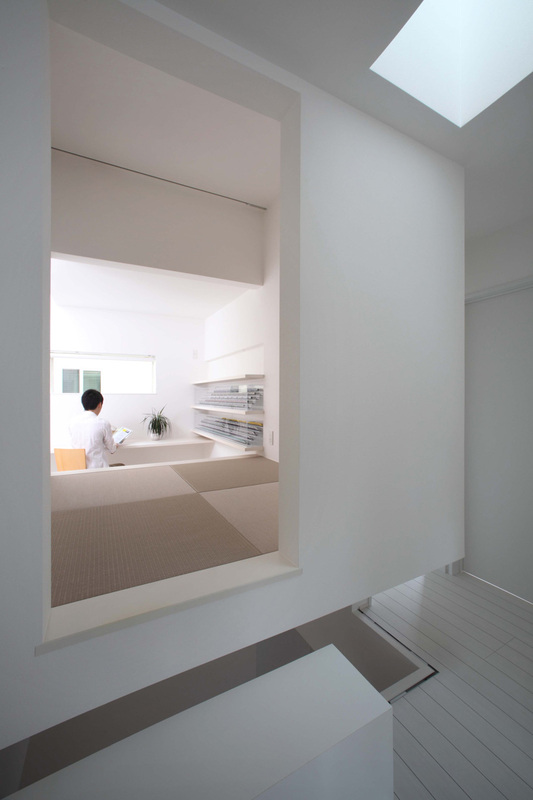 ALTS Design Office went the opposite direction with the Omihachiman House, a small-spaced house which they divided into smaller areas with different purposes. 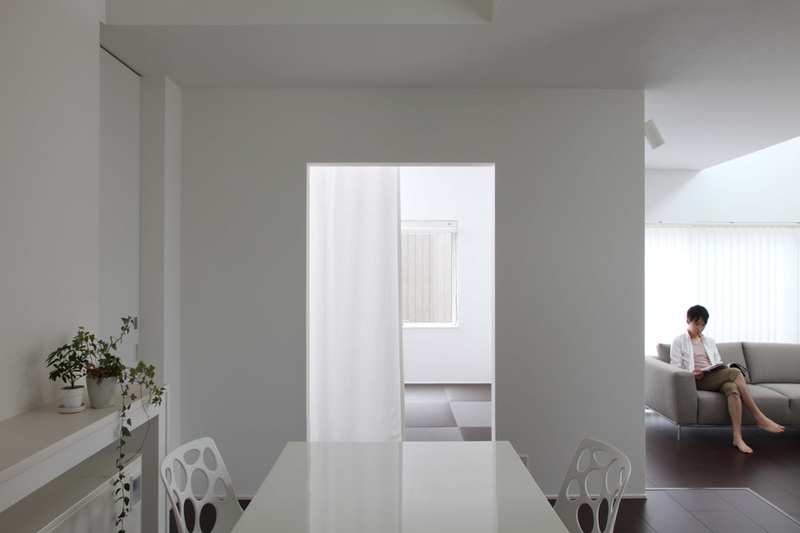 The all-white modern dwelling is enhanced by natural light from the windows and sunlight while divided to create different rooms including a home office. 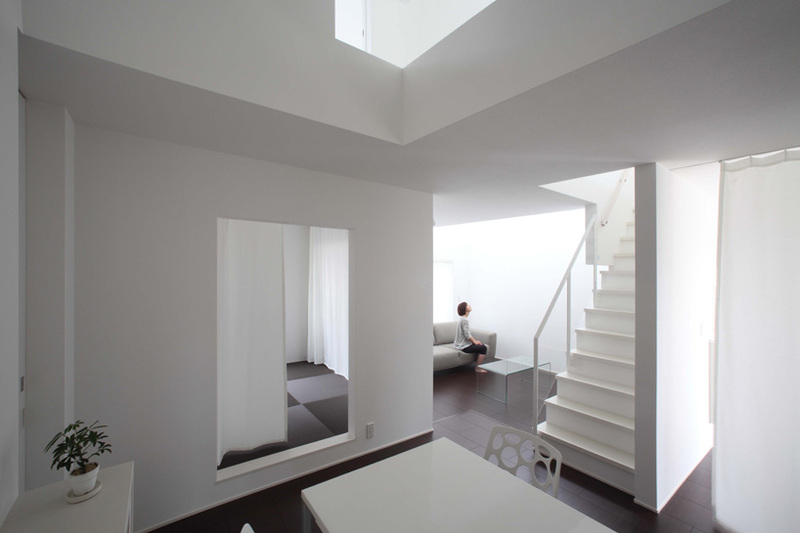 While interesting architecture offers the space solutions the light-reflecting color scheme makes for light and airy atmosphere. 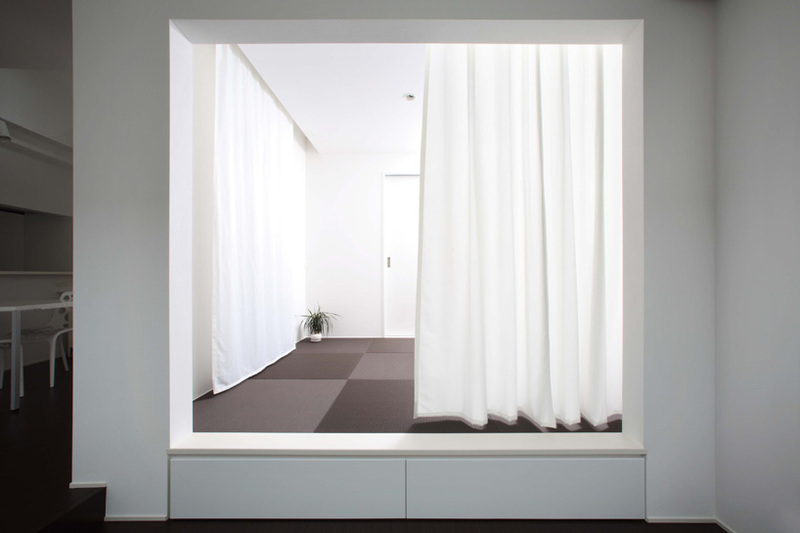 The floors in the house are made in dark and white painted wood as well as covered with carpeting in some areas adding a bit of contrast to the white walls and ceilings. 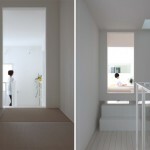 This is a great space solution for those who like privacy and their own space. 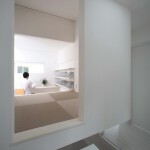 The Omihachiman House has two levels with kitchen, dining area, living room, and a home office on the ground floor.